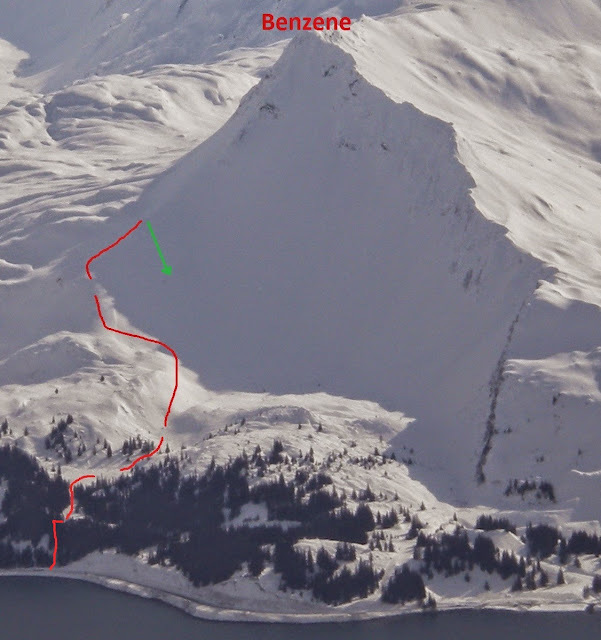 The Benzene trailhead is located near the oil terminal. Drive approximately 4.5 miles down Dayville road and park in the plowed pullout on the south side of the road. Start skinning up the groomed pipeline access for a few hundred vertical feet until you hit the pipeline. Turn right, go about 100 yards, and then head south down the snowmobile trail. The snowmobile trail cuts south just as you start to lose elevation - don't keep heading down the pipeline, as this takes you into the restricted space of the oil terminal. 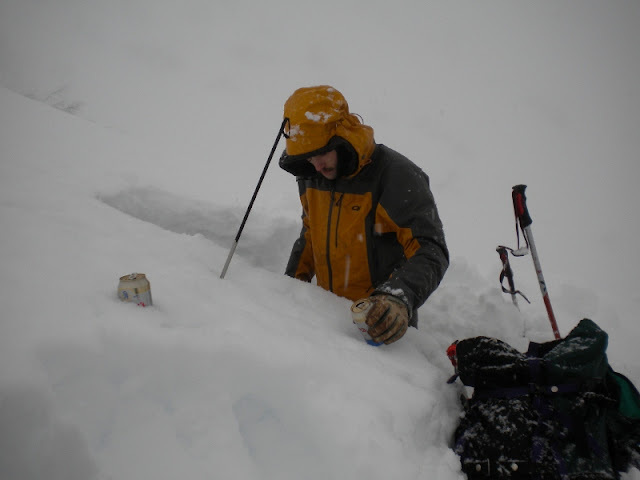 After crossing a clearing - which is a horrible bushwhack in low snow conditions - stay in the drainage. Once you are in the bowl, gradually contour back toward the ridge, as shown on the topo and in the photo below. Once you get the route dialed in you can get to the top of the line without a single switchback.